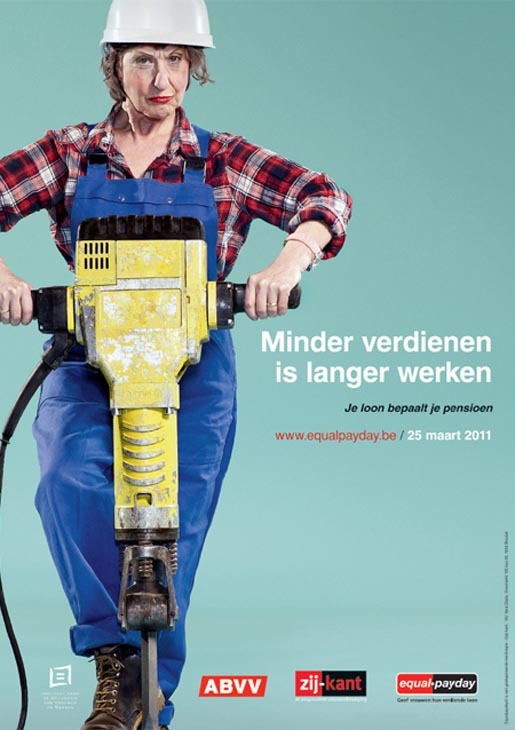 Equal Payday is preparing for Equal Pay Day, March 25, with a remake of the Benny Benassi music video “Satisfaction”, filmed in 2003. The campaign, initiated by Zij-kant’ (her-side), is drawing attention to the impact of lower average pay scales on pensions. Getting paid less equals having to work longer. 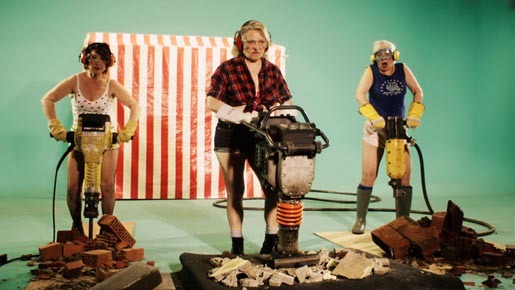 In the original music video young women (Jerri Byrne, Thekla Roth, Natasha Mealey and Lena Frank) handle power tools while dressed in skimpy construction outfits. Eight years later Satisfaction The Granny Remake features a new set of models, who should be retirement age, still doing the same work. The campaign also includes posters, postcards and print advertisements. The Satisfaction Remake was developed at mortierbrigade, Brussels, by creative directors Jens Mortier, Joost Berends, Philippe Deceuster, art director Dieter Vanhoof, copywriter Niels Schreyers, agency producer Charlotte Coddens. Filming was shot by director Raf Reyntjens via Rabbit, Brussels, with producer Jonas van Herp. The 2003 clip was shot by director Dougal Wilson at Colonel Blimp with director of photography Daniel Bronks and editor Suzy Davis.